The petunias went into our flower boxes this past weekend. Every time we plant those little guys I thank heaven for our flower boxes...they make SUCH a difference on the exterior of our house. Being the DIY couple that we are, we definitely thought about making the boxes out of wood, painting them, etc. But then Carter realized it would take eleventy million weekends to finish them AND the wood option is a bit more high maintenance than the snazzy PVC versions out there. 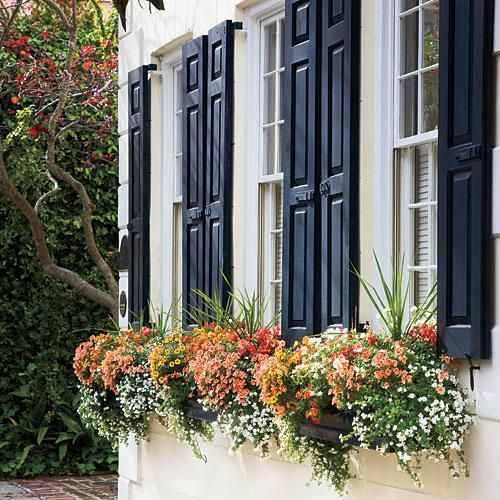 So we went online and found these boxes - aptly named "Charleston Window Boxes" - and they have been fantastic. Scale is great and the low maintenance PVC construction means they will last the home a bit longer than wood - and you can't beat the smooth finish. And I think the investment in ready-made definitely paid off for the immediate wow factor. 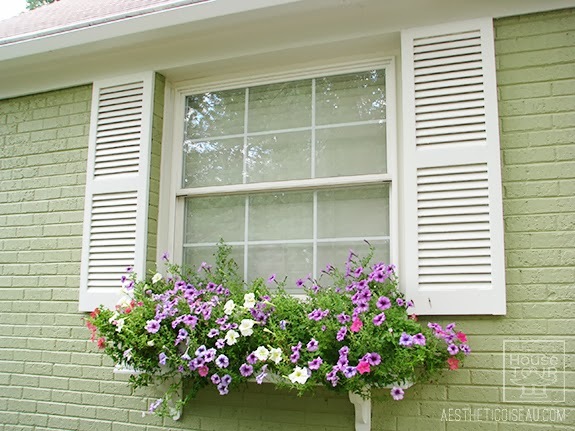 But I think the flower boxes and paint transformed our house overnight. I would do it again in a heartbeat. Hope you are enjoying some Spring touches around your home. 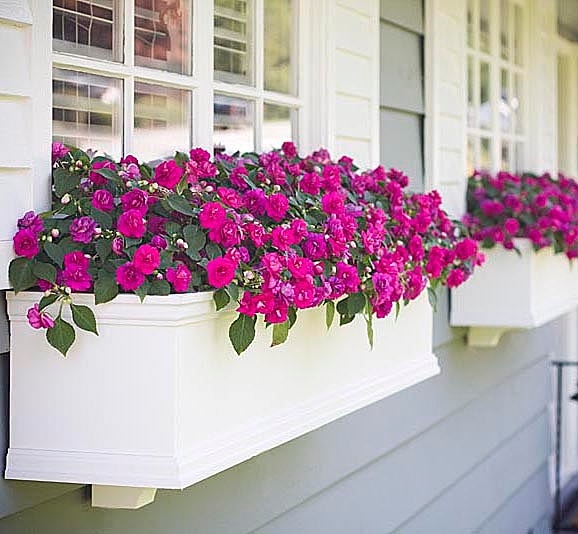 If you have flower boxes, tell me what you do in the fall and winter months - I'm always looking for ideas!